With 80% of America’s population within a two-day drive of Harrisburg, it is no wonder that the trucking and transportation industry has become an important part of the central Pennsylvania city’s economy. Transportation is the second largest industry in Harrisburg, behind only healthcare. Because of its locations – situated at the intersection of Interstate 81 and Interstate 83, and just north of the Pennsylvania Turnpike – Harrisburg has become one of the nation’s busiest trucking industry hubs. The city is not only home to numerous trucking companies, but is also a stopping point for truckers traveling up and down the east coast. 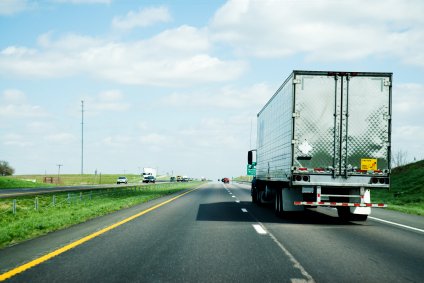 Beyond the local level, the trucking and transportation industry plays an important role on a national scale. Nationwide, there were 9 million people employed in the trucking industry in 2007. More than 3.5 million of those were truck drivers. With so much competition, it is often hard to make your trucking company stand out among the crowd. Truck drivers carry your brand wherever they go. And they go all over the place. So what are your truck drivers saying about your business? Did you know that it takes just seven seconds for someone to form a first impression of your business? That is not a lot of time. Because of this, appearance plays an important role in the way people perceive your business. You may have the best truck drivers in the business, but if they are wearing grungy, tattered uniforms, they may be sending the wrong message to customers and prospects. One of the easiest and most cost-effective ways to ensure your employees look their best is to outfit them with rental uniforms from Lord Baltimore. We have been providing uniform rental services throughout Maryland, Washington DC, northern Virginia, Delaware, and Southern Pennsylvania for over 30 years. Over this time, we have thrived because of our responsive, attentive, professional customer service. Last year, our customer retention was an incredible 96%. So why would you call anyone else? For a flat, weekly fee, Lord Baltimore will handle everything, from pickup and delivery to cleaning and repairs. It couldn’t be any easier or more convenient. Uniforms make your truck drivers instantly recognizable. Uniforms are a great way to promote your brand. Uniforms help put your customers at ease, Uniforms introducing your employees to the customer as trustworthy professionals, who are expert at their trade. If you have any questions about Uniform Rental in Harrisburg, please contact Joe Bateman at Lord Baltimore Uniform at 800-292-1224 or visit LordBaltimoreUniform.com. You can also follow us on Facebook, Twitter, LinkedIn, and Google+. This entry was posted on Thursday, July 11th, 2013	at 12:54 pm	. You can follow any responses to this entry through the RSS 2.0	feed. Both comments and pings are currently closed.